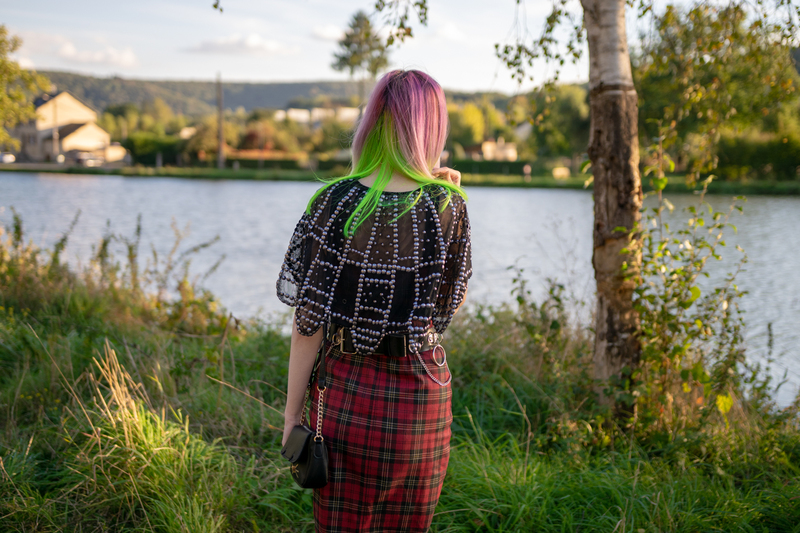 This month, the theme of the Oddity Challenge (from the facebook group Fashion Oddity, bringing together French-speaking alternative bloggers and sympathizers) highlighted tartan. As much to tell you that I was delighted !! So I immediately thought of my beautiful Killstar dress bought a few months ago. When she came out on the brand's website, it was a real crush. And contrary to what one might say, my accessories are not "too much". My cloak goes well with my belt and my shoes. Belt that you may have recognized if you were here during my unpacking birthday gift live on Instagram ;D I quickly did a look with it, ah ah! 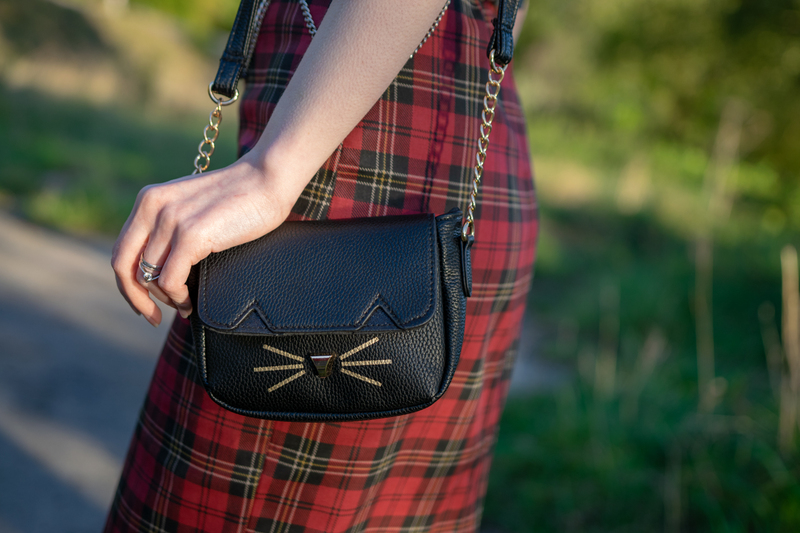 And to finish the inventory of this look, I have with me an adorable small "cat" bag which was a gift by the blogger Cari of the blog Goth Are Smiling People. It's super cute and I love its small size! I hope you like this look for the Oddity Challenge of September. For the anecdote, the shooting was done at the end of the day, at the edge of the water and therefore under the wind. I was cold and was impatient to go back home! (But I didn't want to compose a "warmer" look because I imagined it like that and not otherwise) This said, the dress is in a very thick material. I let you see the details more closely in video. What do you think ? Fond of tartan too? this look is amazing! tartan is one of my favorite prints. love the harness and the cat bag is adorable. and i love your hair.